In 1927 the Cavalry Signals organised a motor-cycle display based on the musical rides by the cavalry. This led to the combination of a motor-cycle and equestrian display team. At their peak the White Helmets performed to more than one million people annually and held an amazing three world records. The stunt riders were known by many names before adopting the name ‘White Helmets’ in 1963. 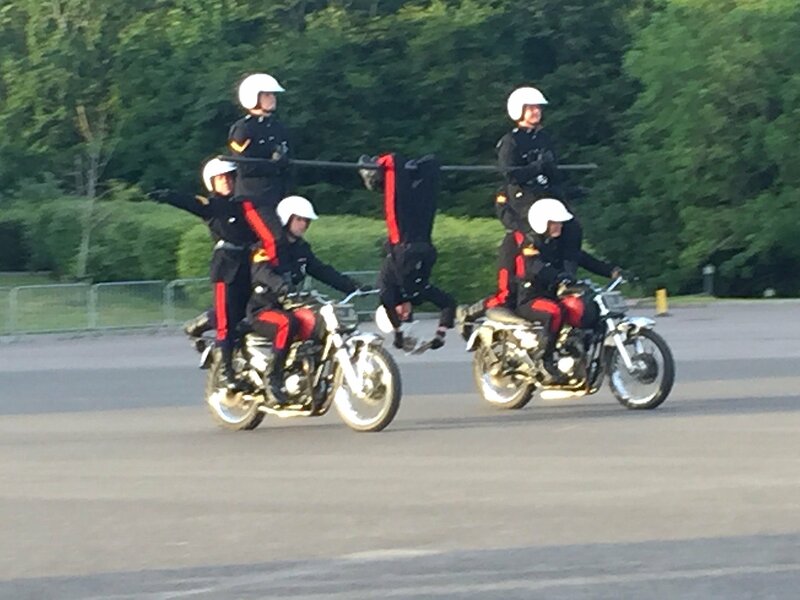 The White Helmets were an internationally acclaimed motorcycle display team of The Royal Corps of Signals. 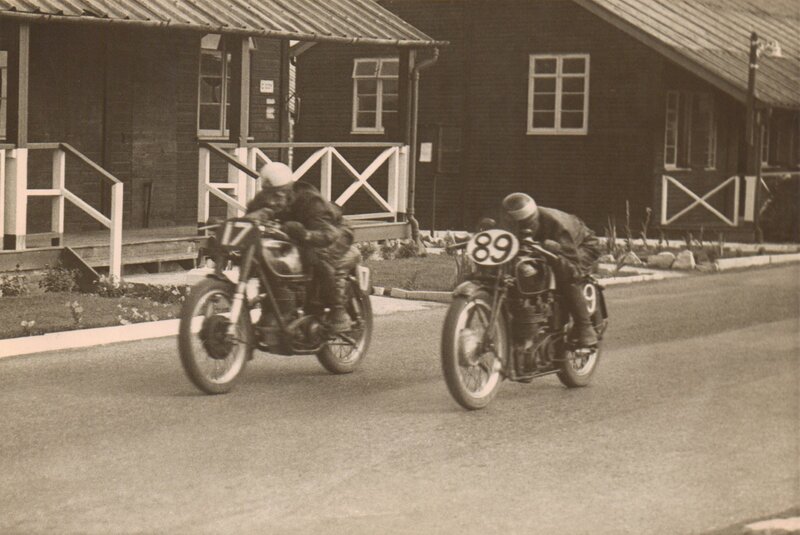 The team’s origins lie in precision motorcycling and horse riding demonstrations by instructors and students from the British Army Signal Training Centre in Yorkshire. Latterly based in Blandford, Dorset for 90 years, from 1927 until their disbandment in September 2017 they performed to audiences around the world. In 1927 the Cavalry Signals organised a motor-cycle display based on the musical rides by the cavalry. Well received, it led to the combination of a motor-cycle and equestrian display team which later the ‘White Helmets’ motor-cycle display team. Through their thrilling stunt performances they gained international acclaim. At their peak they performed to more than one million people annually and held an astonishing three world records. The museum houses various models of motorcycle including the Triumph Tiger 70 which was used by the Royal Signals Display Team from 1935-1938 as well as a bike used in the very final White Helmets display held in Blandford in September 2017.